This article contains some of YouthSound's tips & tools for implementing youth peer support into Washington State's Wraparound w/ Intensive Services program, gathered from resources by the Division of Behavioral Health & Recovery, YouthMove National, agencies around Washington including Community Youth Services and Lutheran Community Services, the WSU Behavioral Health Workforce Collaborative, National Wraparound Institute, Substance Abuse & Mental Health Services Administration, National Federation of Families for Children's Mental Health, the Washington Administrative Codes, and youth and families. Disclaimer: This is a living, breathing document which aims to collect input about this subject from as many sources as possible. Email or call me (Travis) at travis.rybarski@wsu.edu and 509-572-6404 if you disagree with a piece or would like to add something. This document belongs to the behavioral health community as a whole, and is not intended to be directive or carry any formal authority. What is youth peer support from a legal/systematic standpoint? Here are some definitions used in Washington State for peer supports funded by Medicaid. The official terminology for the role in Washington State is Certified Peer Counselor. Other states use varied terminology, such as Peer Support Specialist or Peer Recovery Coach. 1. Is a self-identified consumer of mental health services. 2. Is a counselor registered under chapter 18.19 RCW. 3. Has completed specialized training provided by or contracted through DBHR. If the person was trained by trainers approved by the mental health division (now DBHR) before October 1, 2004, and has met the requirements in (1), (2), and (4) by January 31, 2005, the person is exempt from completing this specialized training. 4. Has successfully passed an examination administered by DBHR or an authorized contractor. 5. Has received a notification letter from DBHR stating that DBHR recognizes the person as a "peer counselor." Be a person with lived experience as a participant in Children’s Mental Health Services. Be willing to use their own lived experiences to provide hope and peer support to other youth experiencing similar challenges. Demonstrate leadership experience and diplomacy in resolving conflicts and integrating divergent perspectives. Have knowledge of community resources and supports. Build relationships with community members and organizations to connect the youth with resources. Be able to share resources and information in a developmentally appropriate way to ensure that youth understand the WISe process and have access to information regarding their care. Be committed to ensuring that youth have voice and choice in their own care and are active participants in the WISe process. Be certified as a Peer Counselor and have training in WISe when serving as WISe Provider Agency staff. How do youth peers describe their own role? 1. The role of a certified peer counselor is to be a force of empowerment. We instill hope that recovery is real and that the peers we work with can and will recover. We model strength, advocacy and setting appropriate boundaries. A CPC works with a peer to help them find their voice and to feel empowered to advocate for themselves and to take ownership of their own recovery. We do this by appropriately sharing our experiences and being a resource and an advocate with the youth to help them find their source of power. We do not take responsibility for another’s recovery. We give hope and we celebrate successes. 2. A CPC uses shared experiences and nurtures hope with the peers they work with to assist them in feeling empowered to discover their voice and to use it to drive their recovery. We develop trust with the peers we support and act as a liaison between the culture of the peer and the systems that serve them. We support the peers that we work with and celebrate THEIR successes. We model and teach self-advocacy and we DO NOT take personal responsibility for their recovery. 3. As CPCs we know that we are a formal support in the lives of the peers we serve and we know that there is a beginning and an end to the relationship. We do not instruct peers on how to recover. We support, we motivate and provide resources in a strength based and non-judgmental way. We do not offer sympathy, we offer empathy and unconditional positive regard. We support goals, we respect confidentiality and we are awesome. How can we describe the role of a WISe youth peer in a job posting/advertisement? Youth Peer Support Specialists are professionals who utilize their own personal lived experience with mental health recovery to support individuals currently enrolled at Agency. Youth Peer Support Specialists also ensure that youth are empowered to make decisions about their treatment, and that all of the youth's support people work together as a team for the benefit of the youth. This position may also include facilitating group activities. What should we request from youth peers as part of the application process? What kinds of systems (mental health, substance abuse treatment, juvenile justice, foster care, etc) have you personally been involved with, and what did you learn from them? How do you feel about sharing your personal story with youth in order to support and inspire them? What impact would you hope your story has on young people? How should the role of WISe youth peer be described in an official job description? What do youth peers do? How does youth peer support function as a core component of WISe/Wraparound? Youth peer: an equitable member of the WISe team whose role is to partner with the youth to help support their engagement and active participation in making informed decisions to drive the WISe process. They are qualified through their lived experience and knowledge of community resources and the wraparound or WISe process. The Youth Partner is a mediator, facilitator, and cultural broker between youth and agencies. Youth Partners utilize their lived experience and connection to communities and the peer movement to bring resources and informal supports to the CFT. Youth Partners work in collaboration with the other WISe Practitioners. Youth Partners ensure each youth is heard and their individual needs are being addressed and met. The Youth Partner communicates with and educates agency staff on the importance of youth voice and choice, and the power and benefits of peer involvement - particularly in transition age youth. Youth Partners serve as a peer advocate to help empower youth in gaining the knowledge and skills necessary to be able to guide and eventually drive their own treatment. Youth Partners also conduct CANS assessments, if CANS certified. Hope: Peer supports share pieces of their story with youth as relevant, allowing them to serve as living proof that recovery is possible. Equity: Peer supports share power with the youth they serve by using language that supports the youth being seen as the source of solutions and practicing transparency when communicating with youth and the WISe team. Respect: Peer supports interact carefully, honestly, and authentically with co-workers, community members, and youth, supporting youth in building rapport with all members of their family, community, and WISe team. Increase resiliency: Encourage youth to identify their own strengths, view themselves as the source of solutions, and view obstacles as temporary and surmountable. Increase engagement and self-advocacy: Shift decision-making to the youth, work collaboratively with the team to ensure the youth’s voice is heard and honored, work with the youth to ensure that meetings are facilitated in a way that allows the youth to participate to their fullest ability. Develop community: Identify resources relevant to the youth and support the youth in cultivating natural supports. Where do we find youth peers? Youth peer support is a unique position. Every community contains numerous eligible candidates who would be interested in the job but don’t know to look for it. Many youth peers find out about the opportunity by being served by the agency hiring for the position, having a family member or friend who works for the agency, or being personally identified as a potential candidate and then recruited by somebody who works for the agency. When implementing youth peer support, one potential strategy for word-of-mouth recruiting would be to call an all-staff meeting, introduce everyone to the role of youth peer support, and request that everyone keep an eye out for potential candidates. In addition to being an effective outreach strategy, this empowers the whole staff to take ownership of peer support implementation and get excited about welcoming the role into their work. This strategy also empowers youth currently being served by the agency by reminding the staff that some of the youth we serve will one day be our coworkers. Note: Youth who have been served by an agency are almost always eligible candidates to work in that agency. This approach can be successful, especially in rural areas where agencies have a smaller pool of potential candidates to recruit from. It is common for people with lived experience to take an interest in the social work field, so local college students pursuing social work can be a pool from which to recruit potential youth peers. Try contacting local psychology and social work professors and asking them to inform their students of the job opening. This is also an opportunity to promote peer support to the developing workforce of providers and increase community awareness of the role. Great youth peers care about community involvement, so many of the qualified candidates in your community are already involved in cool stuff. Ask non-profits like the Boys & Girls Club about young people volunteering for them, check churches for young people emerging as leaders to their peers, Google “youth leadership” with the name of your city to see what activities are going on, etc. Just make sure you clarify that you’re seeking young leaders and helpers with lived experience in mental health recovery. How do we interview youth peers? What are we looking for in candidates? Question: What have you heard so far about the WISe program and the role of youth peer? What questions do you have about the role and the program? Question: This job requires that you have lived experience recovering from a mental health challenge, or lived experience receiving mental health services. Other lived experience is useful too. If you’ve experienced trauma, addiction, involvement with other systems like the justice system or foster care, all of this experience will help you connect with the young people we serve. Just like our counselors and care coordinators have degrees, we consider your lived experience your degree and believe that these experiences can make you stronger and more equipped to support other people who are recovering from mental health diagnoses. What are some of the things you’ve experienced that could make you effective in this role? We are happy to have one of the peer supports currently working here share their story first if that would help you feel comfortable. Question: This job will require that you share pieces of your lived experience, your story, with young people. Part of your job is to live as an example that recovery is real, and changing your life is possible. How do you feel about sharing your personal story with youth? When could you anticipate it being challenging to do this? Question: Youth peers can help youth connect to new resources and opportunities in their community. This means that it’s important for youth peers to be willing to network in the community and support youth in connecting with new stuff including jobs, activities, and services. What are some of the things in this community that have helped you? How do you feel about gathering resources for other youth to get involved with? Question: Tell me about a time that you’ve gotten into a conflict or argument with a friend, peer, coworker, or parent, and how you managed it. Question: Tell me about a time that you had to see someone else’s perspective to get along with them, even if you disagreed with them. Question: In this job, you’d work closely with lots of people from a lot of different cultures. Why do you think it’s important to remain open-minded about different cultures while helping people? Question: What inspires you to work with young people? Question: In this job we support people as they change their lives for the better. For some people, this will be harder than it will for others. Based on your experience, what can make it easier for some people to change their lives? Or, what made it easier for you to change your life through your lived experience? Question: Tell me about a time that you have admitted you were wrong. Question: In this job, you would get to work with several different families, which means scheduling will be important. What strategies do you use to manage a schedule? What kind of support would you request if you needed help managing your schedule? Question: In this role, we share relevant pieces of our lived experience with a positive tone, to benefit the person hearing it. We tell our story to benefit others, not to benefit us. Why do you think this is important? How would you do this? What are some tips for conducting effective youth peer interviews? Have youth currently receiving services present in interviews to partner with agency staff. The most important role of a youth peer is to connect with youth being served, so the most valuable tool for gauging whether a youth peer will be effective is the perspective of a youth. It's common for agencies to request guidelines for the age range that youth peers should be in, and one answer is that the youth should decide. Ensure that the youth understands the role of the youth peer, and that they're looking to hire someone who will function as a peer. Some questions to ask the youth could be, "Do you think they 'get it?'" "Would you be comfortable hanging out with them?" "Do they seem like they could be a person who feels like kind of like a helpful friend? Why or why not?" In some cases, youth have selected unqualified candidates because they were simply asked whether they connected with the candidate. It's important to be thorough when gathering youth feedback, because we are asking whether they connect with the youth peer in the context of a unique new role they are unfamiliar with. We are looking for candidates who can operate as adults in a professional atmosphere, and that's important. At the same time, some agencies feel it's most efficient to find someone who connects with youth best, even if they may not have all the professional skills yet, and invest in teaching them some professional skills. Connecting with youth effectively as a peer is a not a skill that an agency can teach - that is the magic we are looking to recruit in a youth peer candidate. Allow your interview to be laid-back and comfortable, as this may be an intimidating process for a young person who was recently served by agencies. Are there any new HR policies to implement into my agency in order to employ youth peers? Agencies often ask how to appropriately utilize social media as a tool for contacting youth and families while complying with HIPAA. The answer to this question will heavily depend on other agency policies regarding privacy. HIPAA requires that the identities of all youth and families be kept from public record, so we couldn't communicate with youth and families in any way that could be publicly viewed. This means we wouldn't want any page officially operated by the agency to be "friends" with the youth and family, or have any statuses or comments communicating with them. Sharing direct messages with youth and families from an agency Facebook page is sometimes permitted if it doesn't violate any existing privacy policies. Peers may benefit from supervision being done by someone in their role, so it can be helpful to create opportunities for some youth peers to grow into supervision or coaching roles. Creating opportunities for peers to advance in the agency while remaining in the peer support position can validate their role, reduce turnover, and help peers feel more effectively supported. WISe staff, especially youth peers, may benefit from wearing casual clothes to connect authentically with families, and to accommodate community-based work settings like parks and coffee shops. What are some training opportunities for WISe youth peers in WA State? 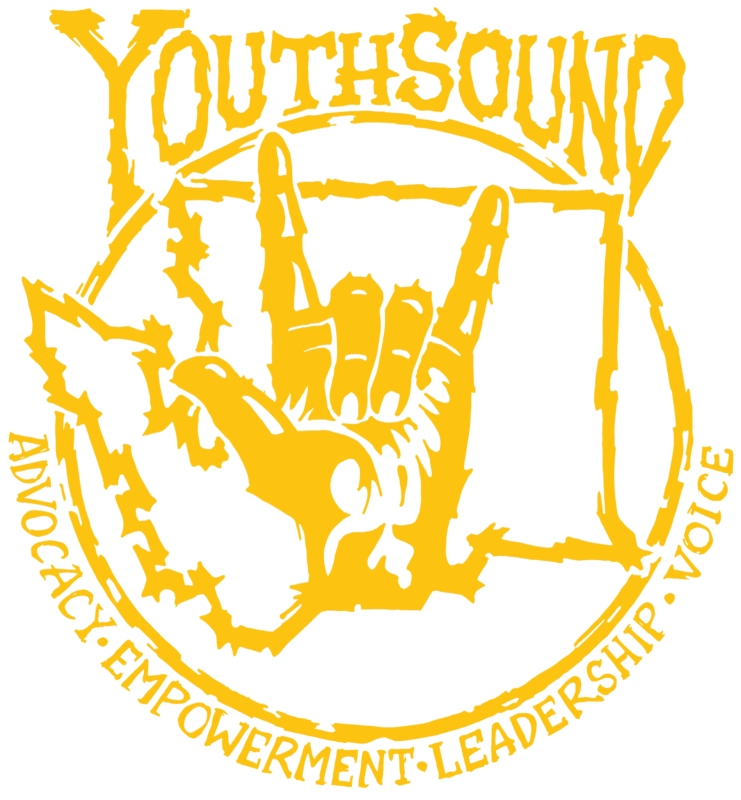 Visit facebook.com/youthsoundwa, select "groups," and join "WISe Youth Peers"